VLC is one of the most popular third party media players. If you check the download stats on portals such as Softpedia or Betanews, you will notice that it is always listed in one of the top spots. That's not because of the player's pretty name but the functionality it provides. VLC plays nearly every media format out of the box, without codec hunting and installation. There are other players, like the excellent SMPlayer that offer that functionality as well, but none managed to reach the popularity of VLC. The developers of VLC Media Player have just announced on their Twitter account that they will release the first release candidate of VLC 2.0 at the end of the week. The latest release version right now is VLC 1.1.11 which is available for Windows, Mac OS X, popular Linux distributions and even other operating systems such as Android or OS/2 (anyone still using that). Once a suitable release candidate has been found, VLC Media Player 2.0 will be released for all operating systems. Existing VLC users likely want to know what they can look forward to in version 2 of the player. Here is a list of important changes taken directly from the latest nightly build of VLC 2.0. Major Video Core and Outputs rework and rewrite: Subtitles, subpictures and OSD can now be sized and blent inside video outputs x11 (Unix), OpenGL (Unix) and Direct3D (Windows) are such video outputs. Probably the biggest improvements are the 64-bit version for Windows, the port to mobile operating systems and Blu-Ray playback support. You can get a taste of things to come by downloading the latest nightly build from the VLC build server. Remember that nightly versions are not necessarily stable, as they are development builds. While we are at it: Which media player are you currently using? Update: First release candidate builds for Mac and Linux have been posted on the VLC ftp server. You can access the change log here. VLC is great, but it pays to have another media player installed also. Nothing is perfect. I used MPC-HomeCinema to play one video that VLC could not render correctly. KMPlayer has potentials, though it freezes videos alot of my system. I moved from VLC to MPC-HC when VLC failed to play 720p/1080p videos on my former 10 years old Windows XP with ATI Radeon with 64MB !! memory. MPC-HC played those videos flawlessly. I am now with Windows 7 64bit and decided to stick with MPC-HC. When I’m on my own computer I use VLC. When we use the laptop connected to the PC we use XBMC. Media Player Classic – Home Cinema as default video player. SMPlayer2 as default video player. Good to see version 2 is coming. I use SMPlayer, mainly because it remembers the previous spot in the movie after I close it and also because it is very easy to move back and forth in 10 second jumps. However, it does not play all files (especially has trouble with mkv) so VLC is always at hand also. KMPlayer remembers played position of video files,has 4 differing jump time combinations,plays all video formats & in my experience uses less CPU & mem. than VLC,especially for audio.Easily No.1 in my opinion. Thanks for the tip – I’ll try it out. I use MPC-HC to watch stuff and VLC for quick opening functions. VLC is very popular but has little annoyances that is incredible haven’t been fixed yet: it often doesn’t remember preferences like language and multiple instances. Yoav you can set time jumps in almost any player. MPC-HC is a far superior open source player to bloatware VLC. VLC is great, but it’s a real shame it can’t ‘remember last position’. I agree: the biggest annoyance for me is VLC’s inability to “play back from”. This is such a basic thing, and people are always asking for it to be included. I have VLC on every pc/laptop, but I prefer to use UM player, and it has never let me down yet. I also like GOM. it’s vlc for me, too and that since years. have yet to find a file it won’t play. sometimes i try other players, but none has reached vlc yet imho. KMPlayer is my media player of choice. I have a collection of media players. I think I’ve tried just about all of them. with the K-Lite Codec Pack plays all. are the most appealing to me versus others. MPlayer Extra Package plays any video file thrown at it. MPlayer variant better than the others out there. Just tried it out. Has some minor drawbacks, but overall quite good. I like its skinability. Glad to know you tried it and like it, Mushaf. MPlayer variants have some, and this one less of them. The skinablity is great and even the default skin is excellent. It is light on resources. Another plus. POT PLAYER is my default player. it enhances audio of my pc with just a 2-speaker stereo . it alone plays text subs i make from google translate,when original SRT file is non-english. oh! i forgot! it’s now the only child of KM player developer,he having sold KM to pandora tv.please note. if you try pot player, leave the settings to default. i also use vlc. now trying 2.0.0..rc2. i find mpc-hc hogging resources [very high RAM & cpu use] with k-lite package. not better even with CCCP codecs. sorry. 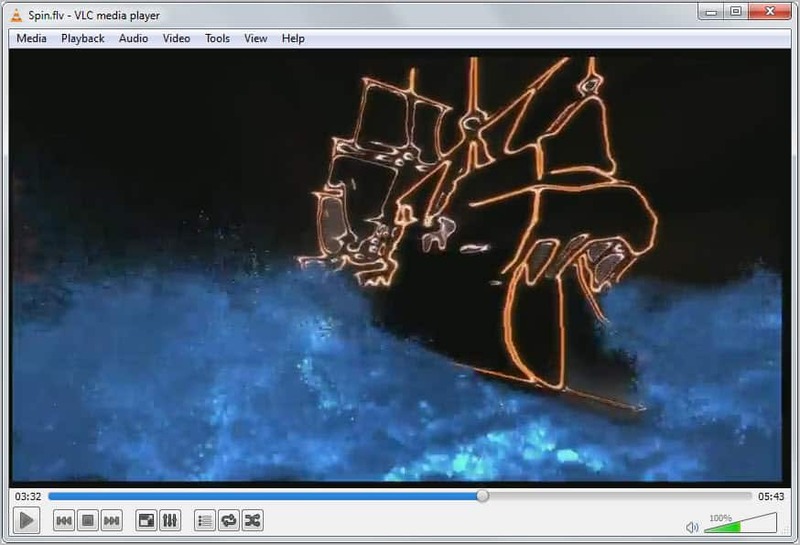 the vlc i’m trying is vlc 2.0.0 rc1 dated 16th Jan’ 2012. i got it from TPB. Ignore lookmann, he doesn’t know what he’s talking about. KMPlayer and Potplayer’s Korean author is a well known GPL violator and steals code from the best player, MPC and MPC-HC and doesn’t respect the GPL license of ffmpeg/libav. This is well documented on the Doom9 forums. VLC is a great backup player but I would never use it as default. I’d much prefer using Media Player Classic. No one knows Splayer here ?? It’s one of the lightest players I know, it can play flawlessly 1080p even on small systems, and it’s open source too ! I mainly use KMPlayer. Once in a while I use VLC and MPC. I have been hearing good things about Pot player so I will probably check it out soon. PEOPLE here share their experience. how could that be ‘without knowledge’? you say that pot’s author took codes illegally, but we dont discuss such things here. they are for courts to decide. what counts is the performance of software. mpc-hc’s video quality is the best, one has to agree. i tried it alone,with k-lite, with CCCP all. so if you are in anyway associated with it’s developers ask them to make it resource-friendly. I think alot of you people fail to understand that vlc does not require any additional codecs to be installed, it is a (nearly) complete package. MPC-HC on the other hand is a standalone player and will need codecs to be installed. And after instaling codecs even the Windows media will be able to play most obscure formats. So you cannot really compare the two, both aproaches have advantages and disadvantages. MPC-HC also has its own codecs built in, as do most other players based on Media Player Classic. We do understand VLC. We just choose to use better players with better interfaces. VLC can be flaky at times, and the “seek bar” is very imprecise. And you are mistaken, MPC-HC has built-in decoders of the most popular formats (MPEG-4, H264, etc.). It can use external codecs if you disable the internal ones. You can install RealAlt and QuicktimeAlt to play videos with those proprietary formats. As I’ve said, VLC is a good backup player, but MPC-HC is still my default player. I’ve been using both players (MPC-Gabest, though) for about a decade now, and I will continue to use both as long as they’re being maintained. I’m using GOM player on my PC and Laptop for playing media. VLC is a backup, I’m looking forward to VLC 2.0, looking good. The equalizer on VLC gets reset automatically on close so I shifted to GOM. Can it play 1080p videos?? ?